State Secretary Grethe Ellingsen had with her a 45 million kroner (€4.8 million) cash cheque when she today visited Kirkenes, the Norwegian border town. 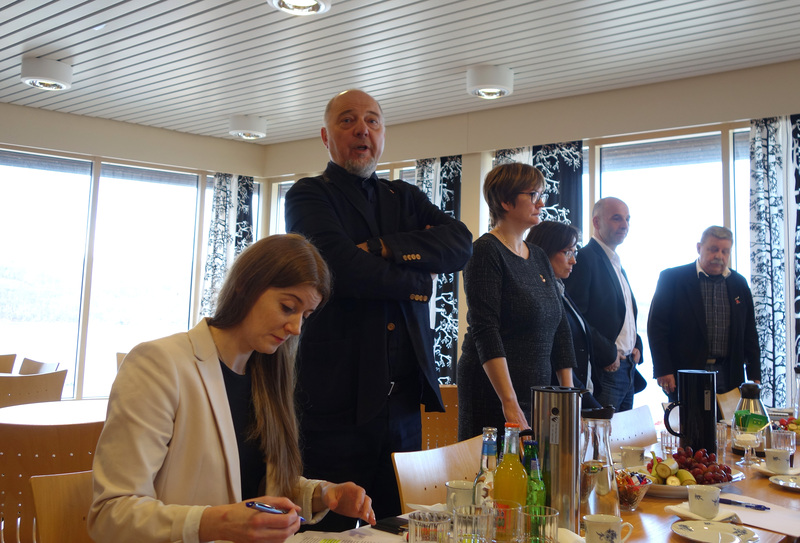 «Kirkenes is clearly in a special position», Ellingsen highlighted to an audience of top local government politicians and officials. The Arctic municipality was cast into crisis when the local iron mining company last fall bankrupted leaving 400 people without jobs. Since then, the Kirkenes administration has lobbied ministry officials in Oslo over crisis support. An application submitted to government in late March includes 120 million kroner for business recovery and restructuring funds. Only 45 million of that sum today came with government representative Ellingsen. Twenty million will be cashed out in 2016 and another twenty in 2017. The money is to be spent on new business development and local economic transformation. «It is too little and we are very disappointed», Kirkenes Mayor Rune Rafaelsen responds. «This is not a normal municipality, it is a border municipality, and the geopolitical importance of the place is significant», he adds. Rafaelsen intends to create 300 new local jobs. «We are going to be the most business-friendly municipality in the region», he underlined to State Secretary Ellingsen. It is not the first time Kirkenes and the surrounding municipality of Sør-Varanger is in crisis. In 1997, the Sydvaranger mining company bankrupted and unemployment and depopulation followed. Also then, government crisis money came from Oslo. In 2009, local mining was restarted by the Northern Iron. That company bankrupted in October 2015. In April 2016, the mining assets were acquired by Felix Tschudi which says he aims for smaller-scale output as soon as market conditions allows for it.